Kheer - Rice-based pudding, one of India's most popular desserts. 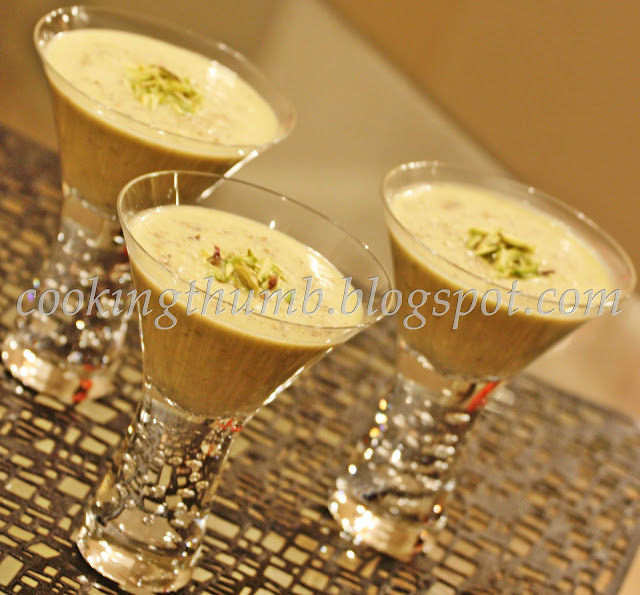 Also called Khiri, Payasam, Payesh depending on the region in India. Oh, what a cruel world we live in. By nature's heartless joke, healthy food and tasty food are like East & West - never meeting, always competing. It is indeed a punishment that mankind is fated to keep trying to somehow make a delicious dish with healthy ingredients - or vice versa. Faced with this paradox, only a few masterful recipes come close to bridging this eternal divide. Matar Kheer is one of them. The juxtaposition of these terms (healthy Matar alongside calorie-rich Kheer) itself is so ludicrous, that people dismiss this dessert as a non-starter even before tasting the ambrosial outcome. It is by no means a replacement for a health bar, but if you are looking for a trip to dessert heaven on a lean ticket, this protein-rich (due to the Peas) delicacy is one of your better bets. Wash & boil the green peas in microwave for 5 minutes or till tender. Refresh in cold water & grind to a fine paste. Heat clarified butter in a thick-bottomed pan on medium heat. Add green peas paste & saute for 3-4 minutes while stirring constantly. Remove from heat & keep aside. Boil the milk in another deep pan. Add the milk to the cooked green peas paste. Mix well. Place the thick-bottomed pan containing the milk-peas mix on low heat. Let the mixture simmer for 15-20 minutes or till the milk is thickened. Keep stirring intermittently. Add sugar, green cardamom powder, raisins & pistachios. Simmer for another 5 minutes while stirring continuously. Adjust sugar as per your taste. Turn off the heat and allow it to cool down. Refrigerate it. Serve chilled, garnished with Pistachios. It is indeed unique and delicious. Hope you enjoyed it as much as I do!